Every scanning program I have encountered in the last decade has included an image enhancement called sharpening. The sharpening function attempts to make images appear "sharper" than they really are. What really happens is software artificially enhances the distinction between light and dark areas. 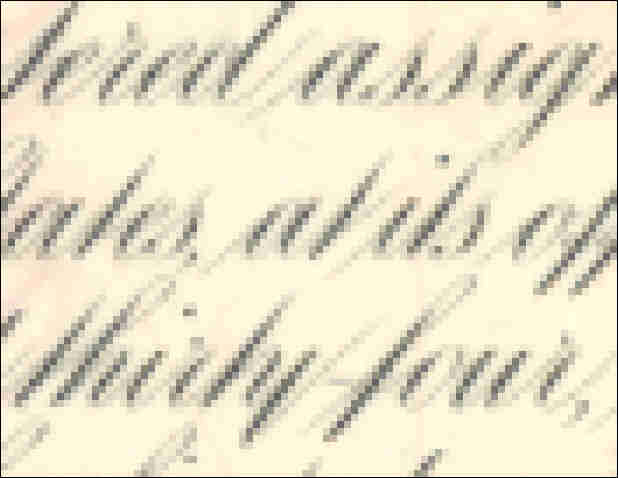 In this scan, unsharpened letters appear fuzzy and soft. Sharpening is especially useful in making words appear "crisp." The software included with most scanners enhances images between the scanning process and the saving the data to a file. Software generally allows you some control over the amount of sharpening you will get. Most software that I've seen lately has a "medium" level of sharpening set by default. If you don't want sharpening, you must purposely turn it off. Sharpening works by increasing the contrast between light and dark areas. Unlike photographs, engraved vignettes are composed of series of finely-inked lines. When you scan at high resolutions (300 dpi or higher), your scanner can discriminate between inked lines and the light areas between. As a consequence, sharpening often works better on high-resolution images. At lower resolutions, it is hard for your scanner to "see" the non-inked spaces in between engraved lines. At low resolutions, software has a hard time deciding which pixels to make brighter and which to make darker. The easiest way to prove the point is to show the effects of sharpening when applied to images of different resolutions. This first example is a vignette scanned at 300 dpi using three different levels of sharpening during the scan process: none, medium, and extreme. At 300 dpi, the scanner can discriminate between engraved lines in many areas, particularly in the sky, the boiler, and the steam cylinder. Engraved lines on the distant hills are finer and closer together. In those areas, even at 300 dpi, the scanner cannot clearly discriminate between black lines and white spaces. Consequently, the pixels tend to display as softer shades of grays. 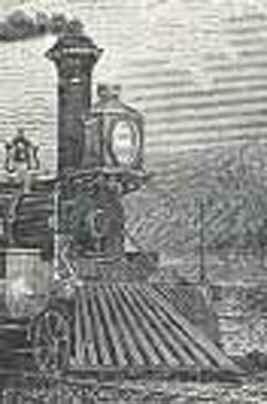 The vertical lines on the smokestack are visible, but are near the 300 dpi resolution limit. In this example, the sharpening routine built into the scanning software tries to increase the distinction between bright and dark areas. Engraved lines that are sufficiently far apart become more distinct. The vignette definitely appears "sharper." 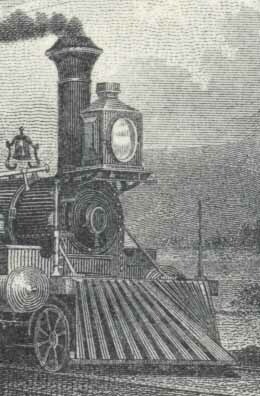 The sharpening improvement is most apparent in the vertical lines of the headlight and smokestack and the spokes of the wheel. For the lack of a better description, in areas where the engraved lines are close together, the software tries to find distinctions where none are present. In those areas, certain pixels get sharpened when they probably shouldn't. The result is that those areas appear artificially "sparkly." Note especially the water in front of the cowcatcher and the gray hills beyond. Areas of "sparkly" appearance are hallmarks of over-sharpening. I don't see significant differences between this example and the medium sharpening scan above. About the only difference is that the headlight looks less gray. The second set of scans tests the effect of sharpening on lower resolutions. At 100 dpi, many less appealing effects of sharpening become very noticeable. At 100 dpi, scanning software renders all engraved lines in shades of gray. In this example, notice the appearance of the slats of the cowcatcher and the water just in front of the cowcatcher. While the image is poor, we can make out major details. The spokes of the wheel are near the resolution limit so do not appear very clearly. Because of the angle of the engraved lines in the sky and distant hills, interference lines appear as odd stripes. In this example, the software is finding that the locomotive is darker than the hills and sky, so it makes the boiler and smokestack more obvious. Sharpening definitely makes the spokes in the wheel more visible. 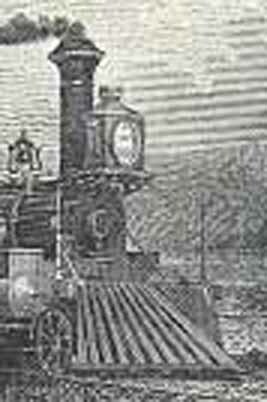 Note, however, that medium sharpening worsens several parts of the image, especially the sky, hills and body of the boiler. Note that the water appears "sparkly" and false rivulets appear on the hills. Deciding whether to sharpen or not depends on your intended use. I always advise experimentation. If you were printing the examples above, I'd probably recommend some sharpening for the 300 dpi example. On the other hand, if printing the 100 dpi example, I think you would get better results with no sharpening. The rules are different if you intend to display your images on the web, like I am doing here. In an application like this web page, the 300 dpi examples turn out to be inferior to the 100 dpi examples. Medium sharpening seems to help the 100 dpi images a little, although it worsens the lines in the sky. Regardless of resolution, we see odd interference lines in the sky. This is caused by the lines in the original image being engraved at a slight angle to the pixels displayed on the monitor. Experiment. Always experiment to see what scanner settings give you the best results for your intended purpose. Image manipulation software allows sharpening after scanning. I normally ask contributors to scan certificates without any sharpening. I use Photoshop which allows very precise sharpening, instead of only three or four choices offered by scanning software. Moreover, Photoshop allows sharpening of selected parts of images instead of applying sharpening to entire images.